As a parent of one and another on the way, I don’t have time to overthink every purchase. But some things are more important than others. When it comes to my little ones’ health and safety, I want good, bottom-line information to point me directly to my best options. And as time permits, I share this information with you lovely folks. 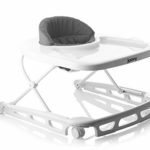 Below are the top five highchairs on the market currently available, that meet two simple criteria; they’re all good options where space is limited, and they are not harmful to your baby’s health. The first few make it possible to scoot your mushed-pea-eater right up next to you at the table, if that’s what you’re after. There are a couple solid budget-friendly alternatives in the list, as well as plenty of form, functionality, and flash at the high end. If you’re looking for a piece of furniture with shiny, stylish, and customizable design (including an optional “Snakeskin Black” seat cover! ), this is your highchair. The others (such as fisher price or Ikea antilop) cost considerably less, but if bling is your thing, they’re no match for this cheeky little number. The Tripp Trapp’s attractive, ergonomic design and durable construction establish it as a quality choice. JPMA certification and the available 7-year extended warranty instil further confidence in Stokke’s commitment to delivering a reliable product. 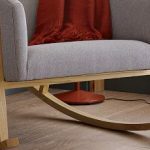 With a couple caveats, this could be the best value for those who prioritize function over form. The thin finish has been reported to wear off, and the soft rubberwood may scratch or dent easily. But underneath these cosmetic details is a solid highchair with a 5-year standard warranty. 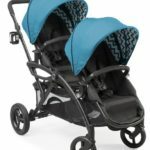 This one adjusts to fit children from 18 months to adulthood without the baby kit, which is sold separately. 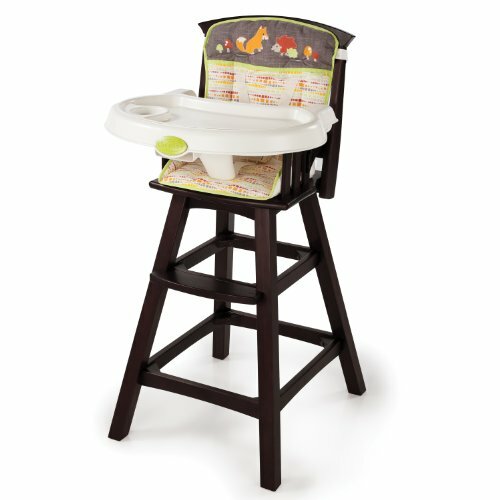 You will have to buy the kit if you want a tray as the highchair does not come with one in the standard configuration. 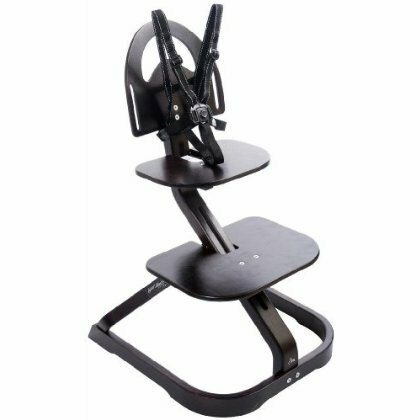 As the name reveals, this is an infant highchair, suitable from birth to three years. If you’re not seeking one that can accommodate older children, you can save a little money here without sacrificing a lot of quality. These are the best options currently out there for their respective price ranges. Keep in mind that a few extra dollars spread out over the life of the product (and sometimes, as with my family, the lives of multiple kids) may be money well spent. Hypoallergenic, environmentally friendly materials and construction ensure your baby’s health. Solid, ergonomically advanced designs keep kids safe and comfy and hold up to years of hard use. It’s important to invest in quality when it comes to the products your little ones use every day. 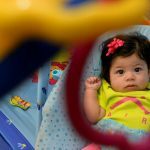 Select only germ-resistant, environmentally safe highchairs, bassinets, carriers, and other accessories for your baby that will last for years to come. Thank you very much for all your lists and reviews! I appreciate your input. 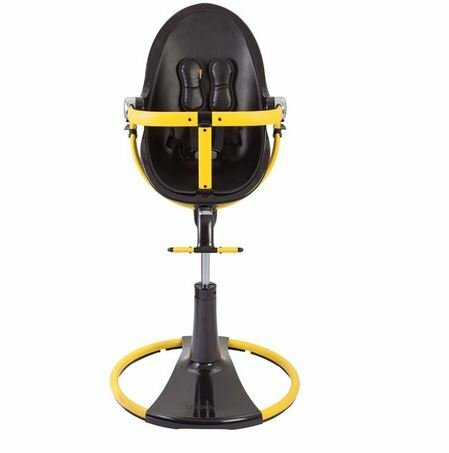 I have a question concerning the Summer Infant High Chair. How is it non toxic? I didn’t read anything about the wood or the fabric. “Thank you for contacting Summer Infant. We would be happy to assist you. We do not use toxins on any of our products. All our products are BPA, phthalates and flame retardants free. If we may be of further assistance please feel free to contact us. What about the Abiie chair? Have you looked into it at all? Anti-microbial Heat Sterilization. Ensures a hygienic environment for your child. Eco-friendly. Cultivated beech wood has been carefully selected to keep the forests healthy and sustainably productive. Safety Standards. 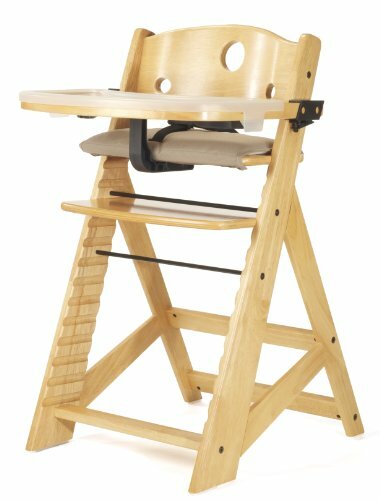 Beyond Junior Y Chair meets and complies with ASTM F404 & HR 4040 standards and contains no harmful substances, such as BPA, Phthalate, PVC.